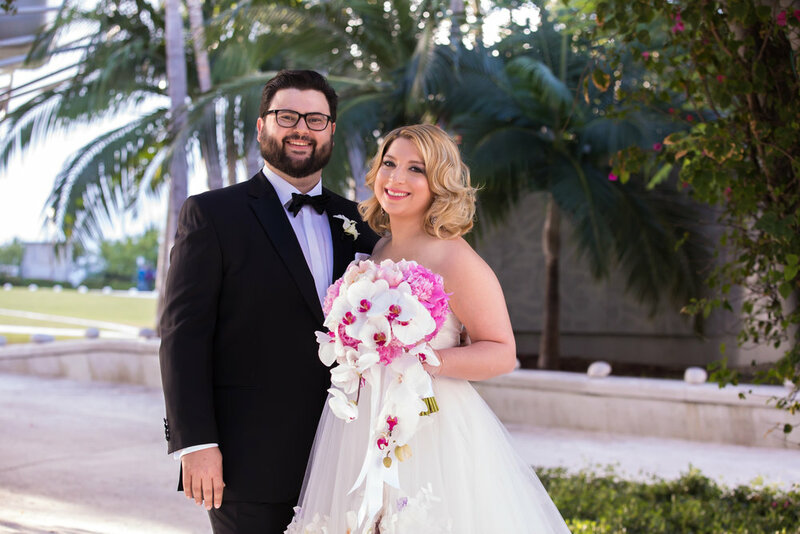 It was such a pleasure helping Jasmine and Matthew plan their Miami wedding at Emanuel Luxury Venue. 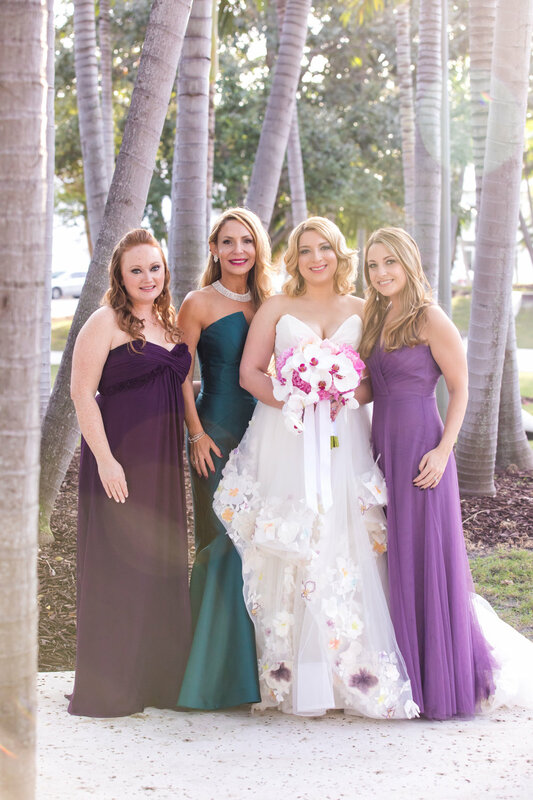 We have a great team of vendors and the result was magnificent! 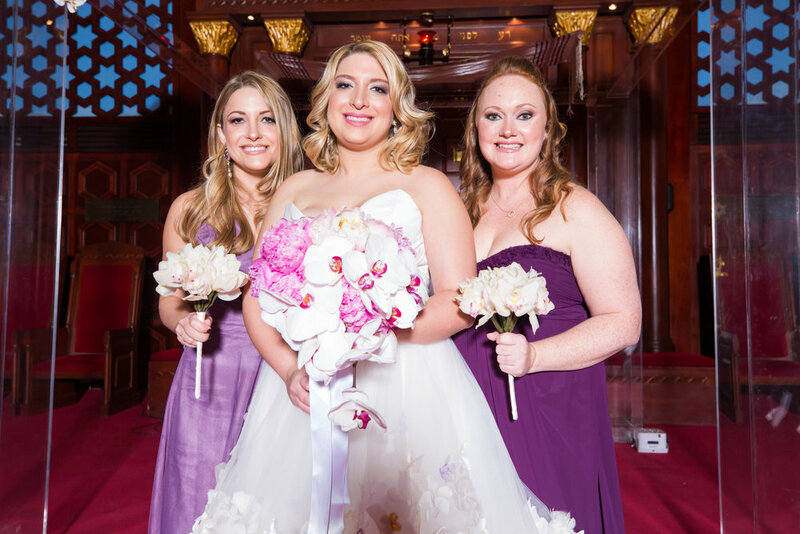 The couple had their ceremony at Temple Emanuel, which is conveniently located right next door to the venue. 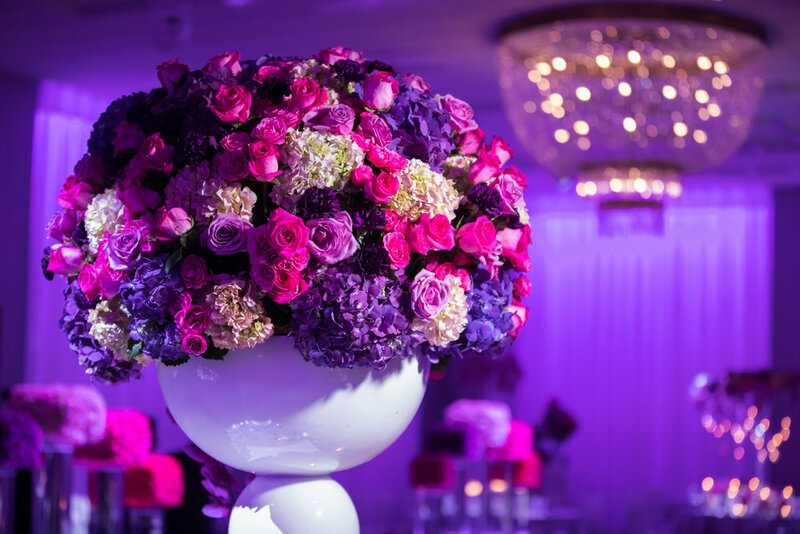 Jasmine and Matthew’s luxury wedding featured floral arrangements of roses, hydrangeas, and cascading orchids in a vibrant color palette of magenta, fuschia, hot pink, violet, and blush. 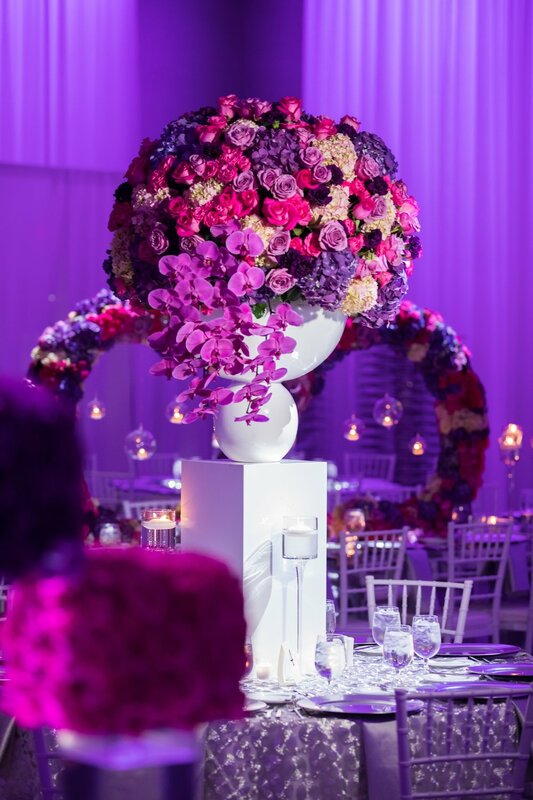 PETAL PRODUCTIONS created the floral decor and also provided the furniture rentals. 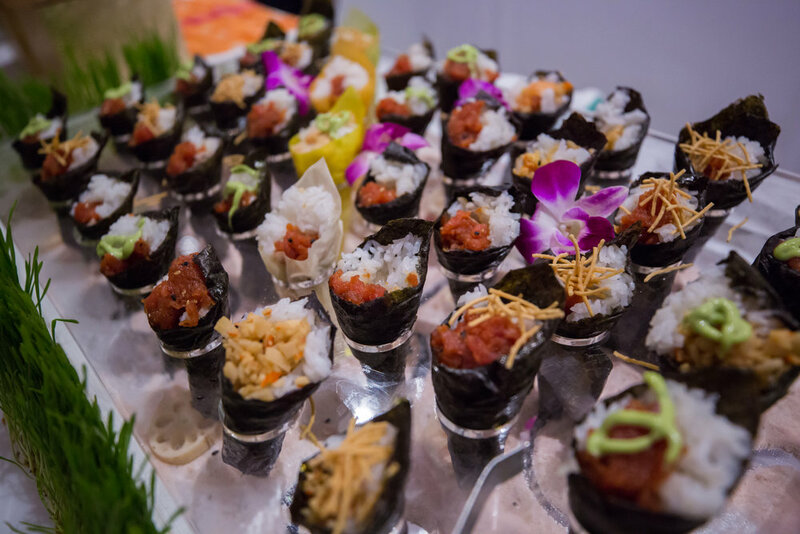 Catering by ELV culinary for 300 guests featured a lavish spread! Cocktail hour started with a selection of butler-passed hors d’oeuvres, such as vegetarian spring rolls, pistachio crusted salmon on a skewer, mini meat empanadas with spicy salsa, and tempura risotto pumpkin balls, to name a few. Food stations for cocktail hour included a carving station featuring perfectly seasoned, marinated beef and turkey prepared by our uniformed chef; A flat grill hibachi station serving authentic Japanese cuisine and a sushi station. Cocktail hour was followed by a three course sit-down dinner, including tender rib eye of beef, fillet of salmon in a citrus marinade, a delicious vegan dish for some guests and special options for the kids. 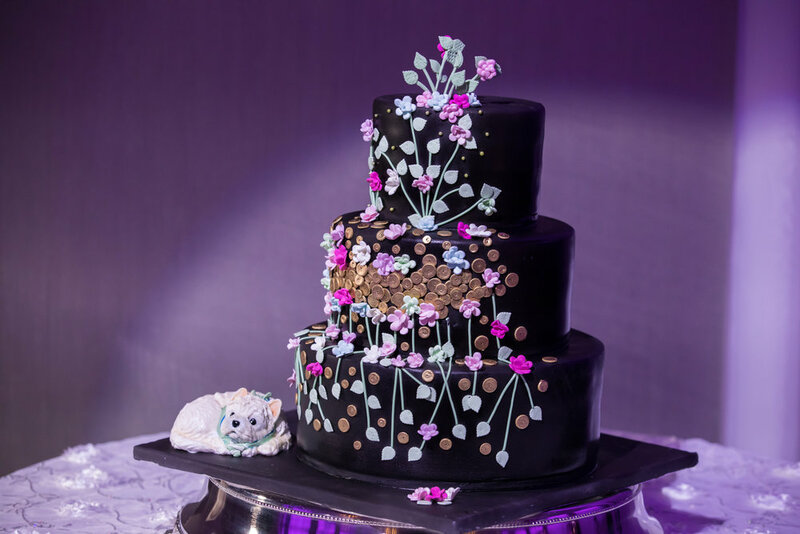 The wedding cake was prepared by Gallery of Cakes. 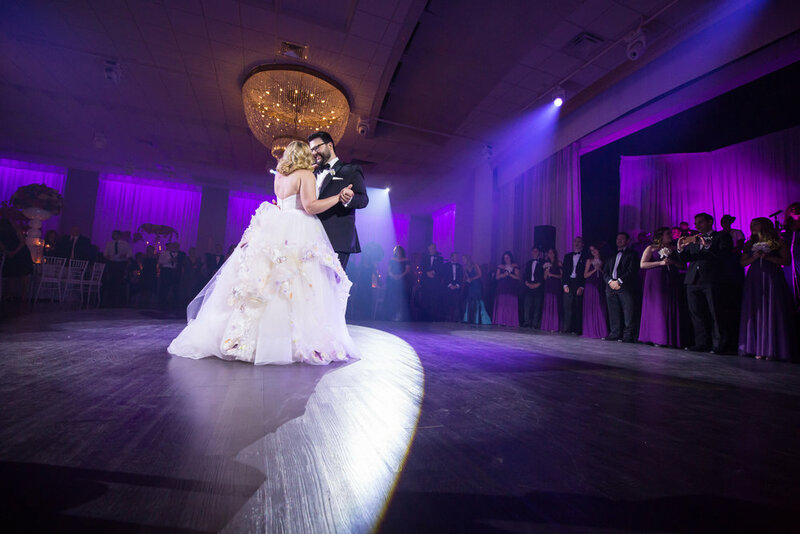 ELV has a private, enclosed bridal suite just next to the ballroom on the second floor. 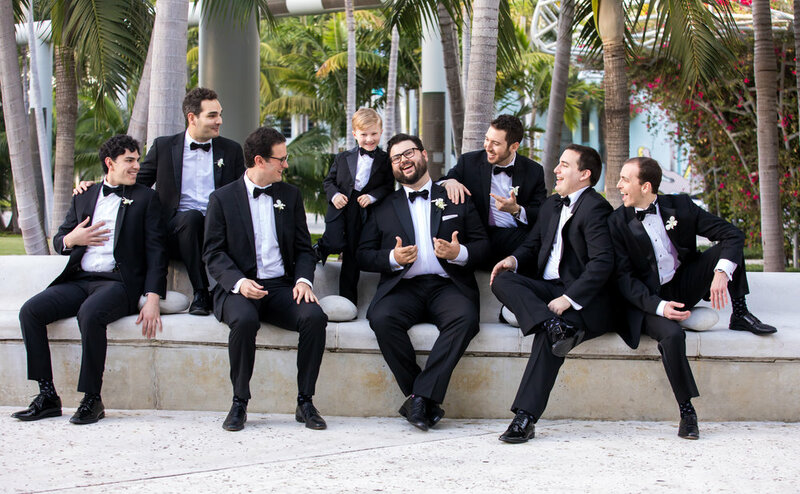 Some of the photos were taken in the picturesque Soundscape Park, on the corner of Washington Ave and 17th Street, across the street from the Emanuel Luxury Venue.